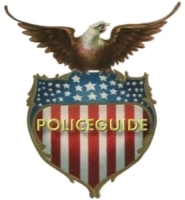 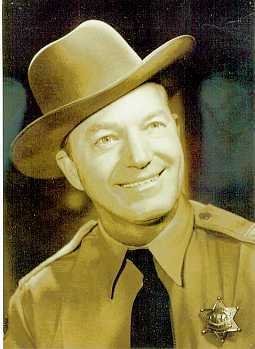 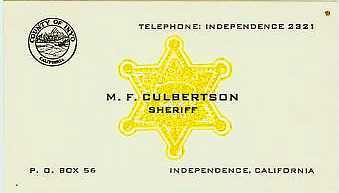 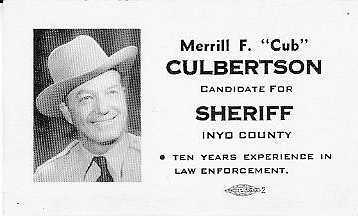 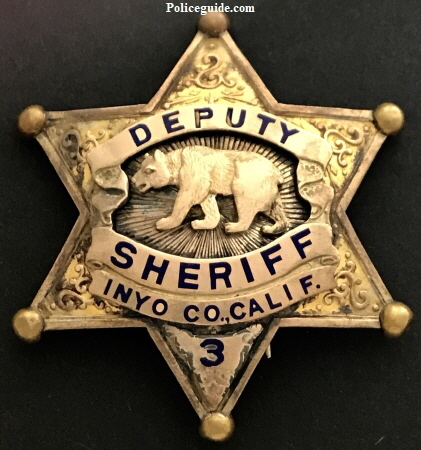 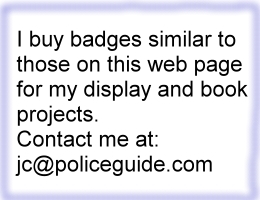 Inyo County Deputy Sheriff Badge #3 worn by M. F. “Cub” Culbertson. 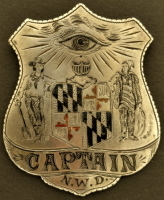 Made by Ed Jones Co. and hallmarked Sterling. 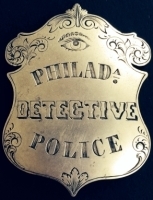 Over the sterling was a gold wash.